For homeowners and tenants, preparing a home move is one of the most stressful things that you will have to do. Even though with hindsight, you might say that you started too late, it’s never easy to know how to plan properly to move out and when is the right time to begin. Should you really start packing months in advance or can you wait until the last few weeks? What is the right schedule to follow? Can you do it on your own to save cost or should you work with a professional? There are so many questions that all deserve an answer! Don’t panic: Here are a few tips from people who know how to reduce the home move stress to a minimum and still have a good time. As a general rule, you will need to count around twelve to eight weeks of planning and packing before your moving date. Why should you start so early? The answer is dead simple: You will need to make a list of all your belongings to gauge how many boxes you will need. It’s about judging quantities here; you don’t need to have a detailed list of every single object; some people prefer to divide their belongings by room. You can start with a pen and a notebook, or, you can use free list apps, such as Trello. As you evaluate what you have, you may come across items that you don’t use or need anymore: This is the perfect time to declutter your house, as this means less packing and more money! 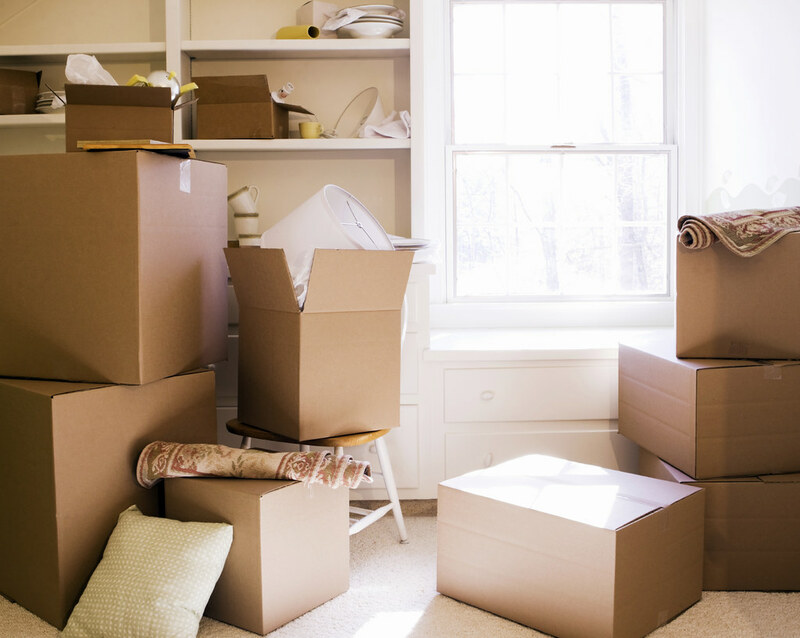 Start packing your boxes eight to six weeks in advance and work your way through the various rooms in your house, one at a time. You just need to leave the minimum in each room – this includes your wardrobe – and to pack the rest away safely. There is a lot to do to prepare for your move, so the best way is to create a home move team. You can recruit friends and family to help you pack your stuff and clean the rooms in your old house if they are willing to help of course! 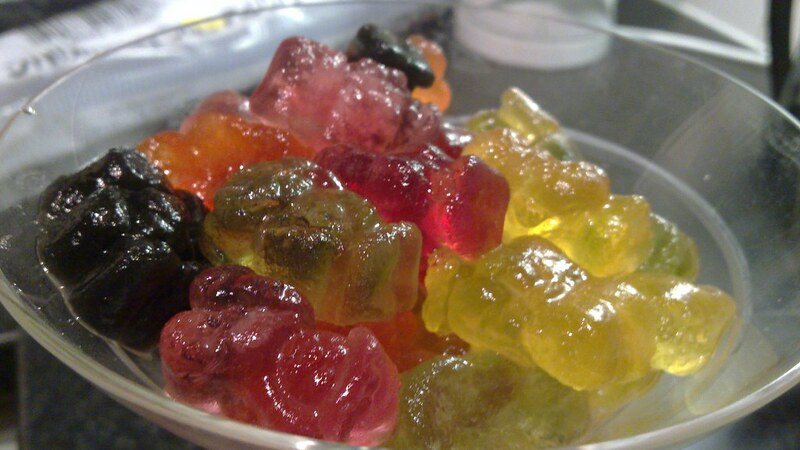 Don’t forget to prepare a yummy dinner to thank everyone for their hard work at the end of the day. It’s best to get in touch with Moving Companies six to four weeks in advance as this will save you a lost of stress and troubles in the long term. Last, but not least, always plan for two parties when you move. You need to prepare a goodbye party, which could happen at your favorite local restaurant on the day before moving out if you don’t want to add to your cleaning! Three to four weeks after you’ve moved in is the right time to invite your friends, family and new neighbors to a housewarming party. Prepare a simple buffet, or even ask people if they want to bring something for the buffet and make room for joy and friendship into the new house! As the new year comes. I know everybody i quite excited especially those couples who has their engagement took placed already and getting ready for the big day which is their wedding. Yes! new year is the best time for the couple to tie a knot though some of you prefers in the mid year this occasion to happens but mostly it’s best if you make it in the beginning of the year hence you can settled down earlier this year for more active deeds, I mean you can do all the things you needed to be done in the entire year s the newlywed couple. Hence, what are the things you should consider first in placing your wedding? well, of course dresses are in the lead list as you need to wear such lovely dresses for your bride and a great manly tuxedo for your man. Thus, Let me share with you this shop, actually an online shop, that calls d-daydress where all the lovely and beautifully made lace wedding dresses where houses. Actually, I’d lurking with this shop quite a long time now and still I’ve found them reasonable and best to shop among the all of the wedding shops I knew online. Why? because each if their pieces were these cheapest and you can even gets an free shipping services as you spend the minimum spend to be eligible to have this kind of services they’d been offering. The shop,d-daydress, is specializing with lace wedding gowns and they even have this great deals called bridesmaid dresses under 50 where I know everyone of you would enjoy to have or even just to see. Yes! you can freely check it yourself without a fee as it was posted online and you can also sees the further details of each gowns you eyeing to have in the future use. Go check them out now here: http://www.d-daydress.com/bridesmaid-dresses-under-100-c10036.html and bookmarked all the dresses you pleases hence you can have hard time sorting it out in the future as you need to wear them soon.. When it comes to romance, some of the European countries have got it spot on. When most of us think of romance, we think of something quite old-school – balmy evening walks, candlelight, a good bottle of wine. It’s pretty safe to say that nowhere does all this (and more) any better than Italy. The country shaped like a boot has a long history of being associated with romance. After all, it has been the home ground of many public figures associated with love – everyone from Saint Valentine himself to Sophia Loren. Italy’s culture also puts a strong emphasis on forging relationships and socializing, so you will find many a cute restaurant or hilltop walk to experience with your loved one. If a wedding is on the cards for you and your partner, here are some ways you can experience Italy before, during and after the big day. Whether you are proposing to your partner yourself, or if you suspect that they might be planning to propose to you, going on an Italian getaway certainly sets the scene – no matter who ends up popping the question. 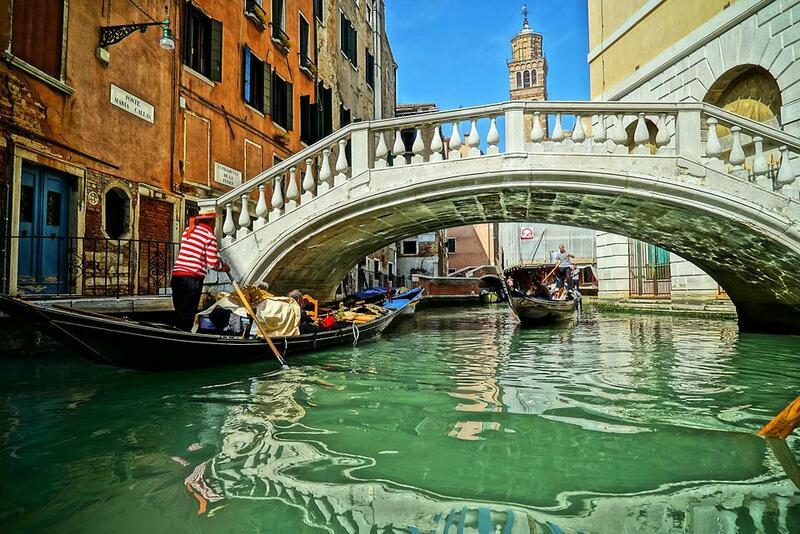 Venice is famously romantic, as its network of canals twists around the ancient city. You can navigate it by gondola – just remember not to jump around with joy after the proposal, otherwise you might end up getting a little too personal with the waters of Venice! Or, stay on foot and choose your moment on one of the quaint bridges overlooking the canal. If nature is more your thing, there are many stunning gardens open to the public in Italy, so consider popping the question there after sundown. Once you and your loved one are engaged, the number one thing you’ll be thinking about is where to have your wedding. The venue is what will take up the bulk of your wedding budget, so getting it right is very important. The idea of a wedding abroad is very tempting for many people – after all, why not combine a wedding with a vacation?! The grand buildings and rolling hillsides of Italy can provide the perfect backdrop for your big day, as well as ensuring your guests are taken care of with true Italian hospitality. There are plenty of stunning Wedding Venues in Italy, so shop around and find the one that suits you best. Once the madness of the wedding is over, you will naturally want to spend some quality time with your new husband/wife. The honeymoon is a staple tradition of modern marriages, and Italy is one of the most popular destinations for it. If good weather is what you are looking for, look no further than Tuscany – this largely agricultural region features a stunning landscape bathed in a warm, sunny glow. Puglia is a great option for those who want to avoid the crowds, and the Amalfi coast has some stunning towns and beaches – just avoid in the peak summer months. Have you been dreaming about your wedding day since you were a girl? Did you make plans in the playground about how your wedding would be? A woman’s wedding day is the best of her life. If all goes according to plan, it’s something you’ll only do once. It makes sense that you make the day as special as possible. If you can’t feel like a star on your wedding day, when can you? Put plans in place that will ensure you feel as glamorous as possible on the big day. Your wedding dress is quite possibly the most important dress you’ll ever wear. It’s crucial, then, that you get it right! You’ll want to look as good as possible, so get the dress you always dreamt of. Dress fittings can be a lot of fun and can ensure you find the perfect one for you. Maybe you want to go all out and get a dress designed just for you. This is an excellent way to ensure you get the dress you want. It’s also a sure way to ensure your dress is unique! Bear in mind that this is an expensive choice. You might want to take a look at the dresses already out there first! Of course, you’ll want to get your makeup and hair right, too. 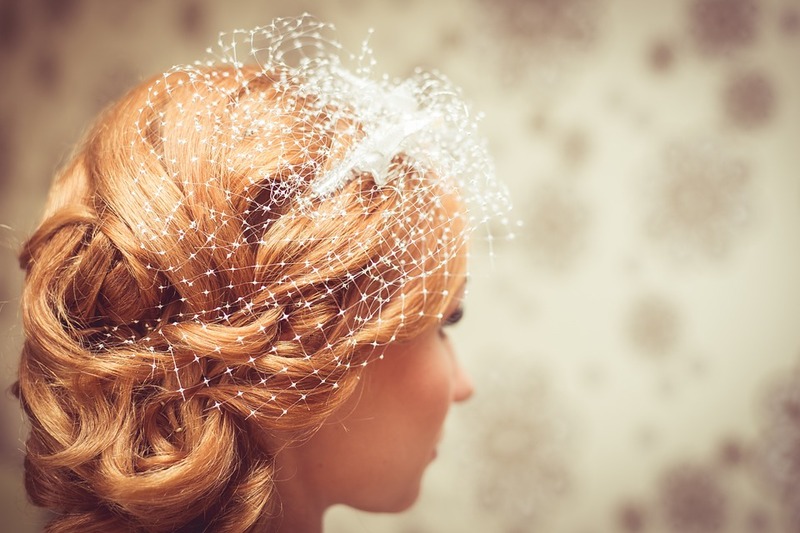 As it’s your special day, why not treat yourself to a makeup and hair stylist? Find one on a site like www.gigsalad.com. This option will ensure you don’t have to worry. It’ll also ensure you look as good as possible. Most stylists will help you work out a look beforehand, so you’ll have plenty of time to plan! If you’re worried about the extra expense, consider the fact that the stylist can work on your bridesmaids too. You’re the main event on this day, so you’ll want to arrive in style! Take the time to decide how you would like to travel. There are many options, and which you pick is up to you. If you want to keep up with the theme of feeling like a star, hire a limo like those found at www.baltimoresedanlimo.com. You could go all out and hire a horse and cart for your special day. Whatever way you choose, ensure you make an entrance to remember. All eyes will be on you as you walk down the aisle. It’s the first time everyone will see the look you’ve spent so long perfecting. Make the most of the moment by planning exactly how it will be. Many of your wedding photos will be taken of that walk. It may be worth practicing the moment beforehand. Wear your wedding shoes as you do so you get used to them. Take care choosing which music you would like playing as well. You could stick with tradition or go for something modern that reflects you and your partner. Most importantly, remember to enjoy every second! The wrong or the right color can make or break your look. But if you put aside what’s trendy and your personal preferences, the right color or shade has the ability to make you dazzle. Figuring out what color suits you the most starts with your skin tone, the three categories of which are warm, cool, and neutral. You’re warm if your hair color ranges from dark brown to dark blonde hair and your skin has a yellowish undertone. You’re cool if you have very dark to light blonde hair and bluish undertone skin. Your category is neutral if your hair is a combination of blonde with ashy streaks or brown with warmer tones while your skin tone is something that’s hard to determine. Shop for the right colored clothes that’s best for your skin tone at Quiz, a dynamic fashion retail group that sells high quality, stylish, and trendy pieces at low prices. Founded in 1993, they also sell tops, jackets and coats, jeans, knitwear, trousers, jumpsuts etc., as well as shoes and accessories. Quiz prides itself for developing a responsive organization that makes its customers their utmost priority. Their highly knowledgeable and dedicated staff has enabled them to grow into an international retailer with over 250 stores and concessions. Aside from worldwide shipping, Quiz has free delivery on UK orders over £60 and free international delivery on orders over £25. An important part of planning your wedding is deciding on the type of honeymoon that you want to go on. Most couples opt to spend a week or two sunning themselves on an exotic beach somewhere. However, if going down the traditional honeymoon route doesn’t appeal to you, why not think about doing something a little more unique? Below we’ve picked out four unique honeymoon ideas that are perfect if you and your partner have a sense of adventure and fancy going on a honeymoon with a difference. One option for a honeymoon with a difference is choosing to head to a yoga retreat. If you and your partner have always wanted to give yoga a try or are already skilled at it, then perhaps heading for a relaxing and tranquil yoga retreat could be the perfect way to bond after your wedding? A beach break could be fun, but surely it would be just like any other vacation? 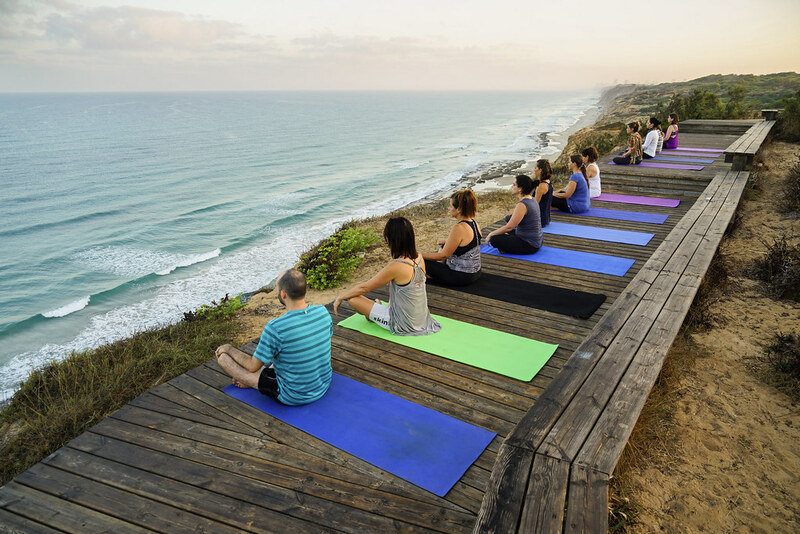 So why not do something a little different and go to a yoga retreat for a week or two? Imagine how relaxed and rested you would feel when you returned home. There are also sorts of places that offer yoga retreats, from the South of France to Bali, there are various locations to choose from. Another option for making your honeymoon unique is to volunteer abroad. If you and your partner have never doing anything like it before, then perhaps volunteering could be the ideal way to spend your honeymoon. Pick a country to volunteer in that you’ve always wanted to visit and research the projects that are on offer. Say, for instance; you’ve always dreamed of visiting Costa Rica, then choosing to volunteer in Costa Rica could be the perfect option. You would get to spend some time in this incredible country exploring it, as well as helping an organization in need of volunteers. It may not be the most relaxing honeymoon, but it would definitely be enriching. Plus, you get to immerse yourself in the local culture and learn about the country and its people. What’s more romantic than spending your honeymoon sailing across the sea? As long as neither you or your partner get sea sick, chartering a boat could be the perfect way to spend your honeymoon. All you need to do is find a boat that you can charter and choose a destination that you would like to explore. Chartering a boat could be like having your own private cruise. Think champagne, a romantic cabin, chef-cooked meals, and the chances to see lots of different places. What more could you want? In terms of the destination, pick somewhere that has plenty of beautiful things to see, Fiji could be a good option, as could the Balearic Islands or the Canary Islands. Want a honeymoon with a difference? Then take on board the ideas and suggestions above, and you can plan the most incredible trip that you and your partner will never forget. As we turnt the new leaf, I know most of you wonder on what’s gonna lead in the fashion industry especially in the wedding part because a lot of women are keep on checking it as the rate of engage couple are pretty high as for this year 2017. No doubt why mostly wedding gowns designers are getting a bunch of work recently and they have mostly the abundance due to the high volume of works they did have for the rest of the year. Good to them! The the thing is, what are these trendy wedding gowns that a bride and wife to be to follow? actually, there’re a bunch out there but the dominant that I’d always sees were these Backless and Laces type of wedding dresses. To learn more about this I suggest you then to have try checking this information over google and try to find some wedding magazine online who always in update on what’s new and not for the wedding. In this way, you wont be outdated on the latest designs and newly made kind of wedding dresses, but like what Ive said – more or less it’s backless and laces time this year, 2017. For you to check all the available wedding gowns today, I encourage you to check this online shop called Amodabridal which I truly recommend you as the shop is pretty into trendy stuff and they only sells the quality and latest designs for their wedding gowns. You can check this link: http://www.amodabridal.com.au/lace-wedding-dresses-c113876/ for the list of newest wedding gowns that you might consider and please dont worry that much for the price as the shop is pretty considerable about it by giving out some discounts for some selected items and even you can contact them for additional discounts if you are buying off in bulk order. Yes! that’s how considerate this shop hence I really like them other than to same stores online.